There are tons of meatloaf recipes out there and all probably good, but I have found the secret to a super moist meatloaf that will keep your family coming back for seconds. 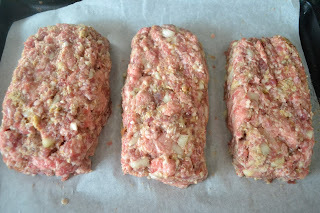 My first years of meatloaf making I used dry breadcrumbs or crackers in the meat loaf, I was never happy with how they turned out. Then one day I heard a cook say that if you put dry ingredients into the meatloaf you'll get a dry meatloaf, and to put in wet ingredients for a moist meatloaf. That is what turned my meatloaf around. No more breadcrumbs or crackers folks. 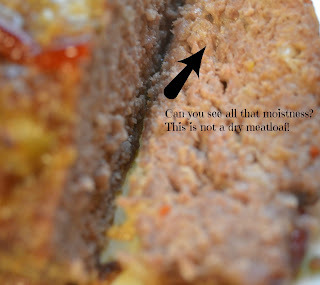 The secret is to soak bread (I tear it up into pieces in a bowl) in milk before mixing it into the meatloaf. This will lock in plenty of moisture and keep it just perfect. In large mixing bowl place meats,diced onions, eggs, and all seasonsings (grated cheese, garlic and salt). Using your hands gently mix the meatloaf till all ingredients are well blended. 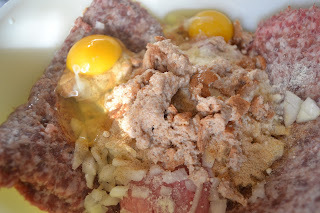 Don't overwork it though, the more you handle the meat, the tougher it will be, so gently mix it. I don't always share my personal secrets but today I'll reveal one of them! 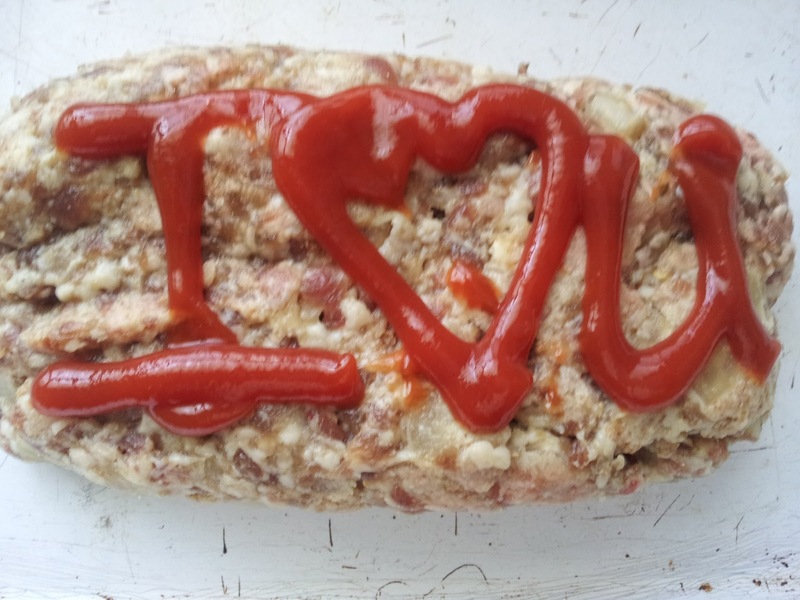 I write messages in ketchup on top of my meatloaf! The first meat loaf I ever made for my husband as a newlywed I wrote I ♥U on the top of the meatloaf with ketchup before baking it. From that moment on, It was a tradition. Corny I know, but traditions don't have to be elaborate to be memorable! Maybe my kids will write messages on their families meatloaves! Bake at 350 degree's for one hour or until done. Sounds good. Never heard of wetting bread. 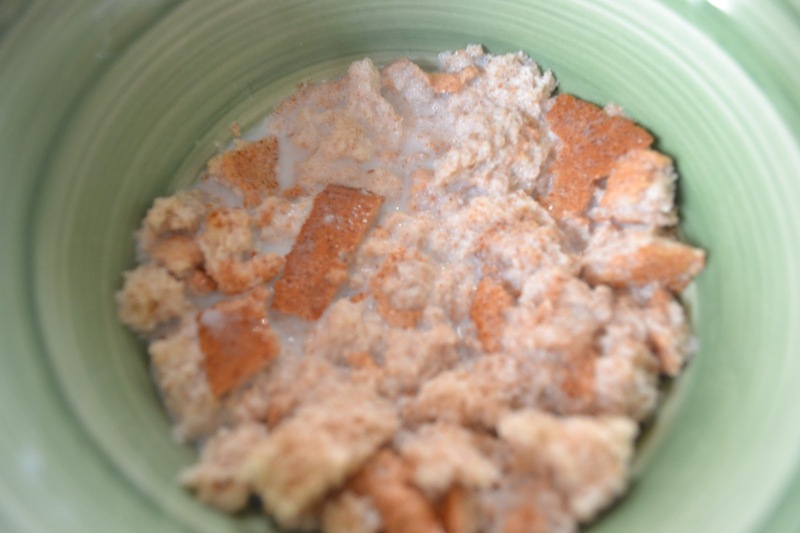 I put in oatmeal and that keeps it moist, also. Thanks Sue! 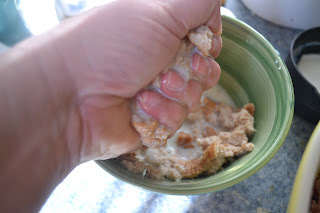 I add oatmeal alot to my hamburger as a way of stretching it a bit further, and so I too will find myself tossing in a handful of oatmeal! 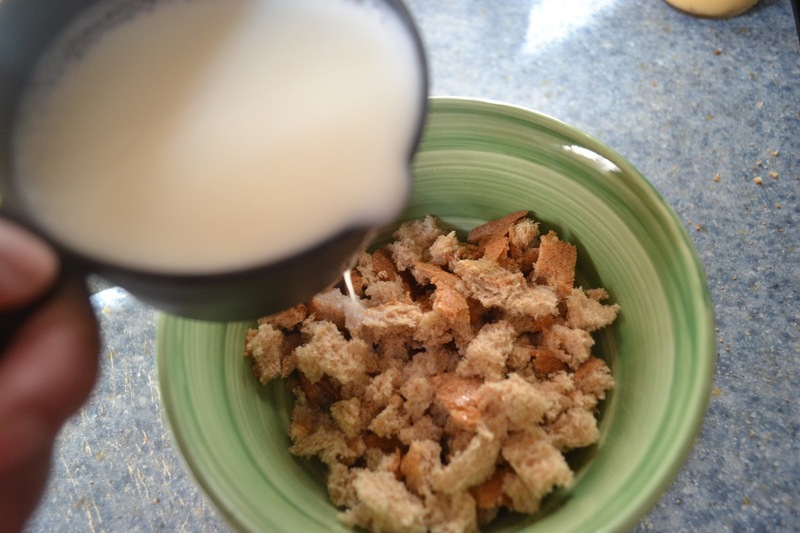 I have even thrown them into the milk with the bread! Thanks for reminding me of that! Your the best! 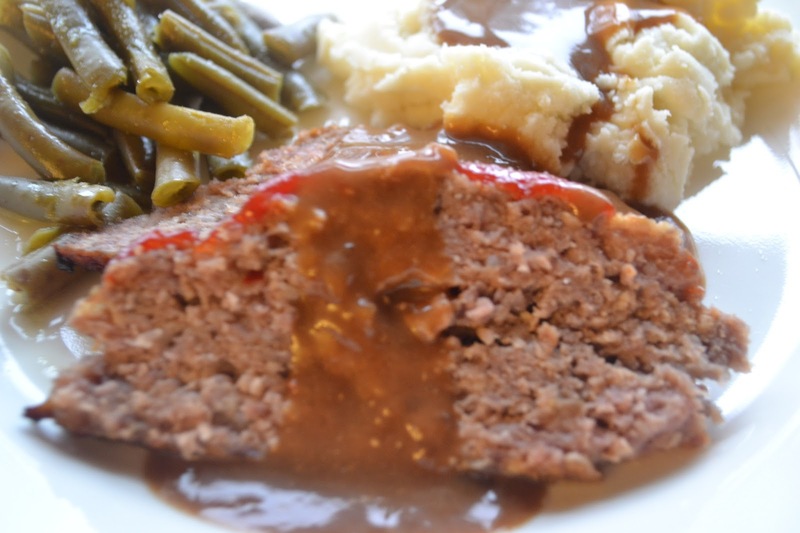 I love that sausage is one of the ingredients in your meatloaf recipe, I'd call that the secret weapon! Thank you for sharing with the Clever Chicks Blog Hop this week!